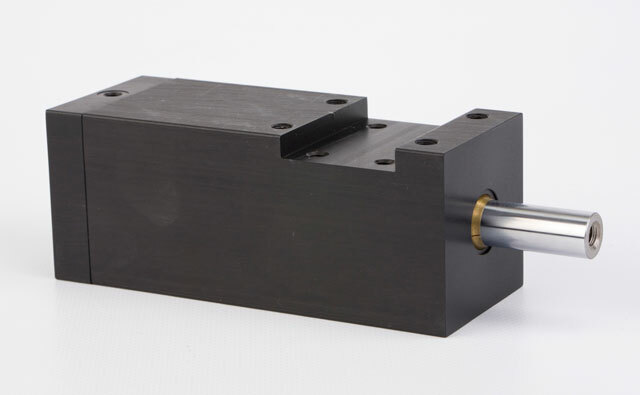 The vast majority of our work consists of custom solutions for unique applications. 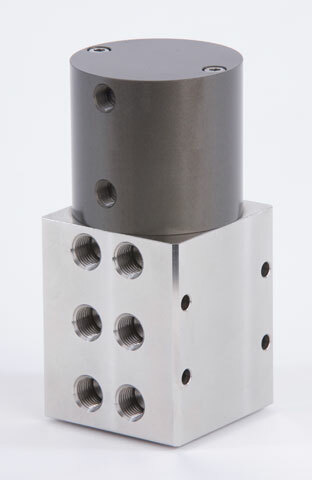 When your application requires a custom cylinder or valve, we can help. 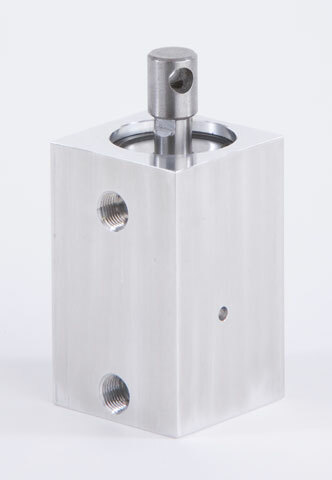 Custom Cylinders, Inc. designs and manufactures custom cylinders and valves in practically any size, any shape, any pressure, in a variety of materials. Design what you want. We'll make it work. 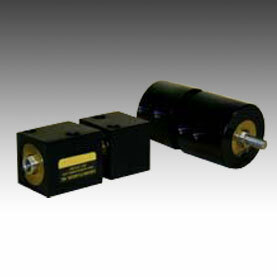 Our products are used by OEM's in machinery and automation equipment worldwide. We have served a wide range of industries since 1983. May we assist you on your next challenge? For more information, please call (847) 516‑6467 or contact us online now. 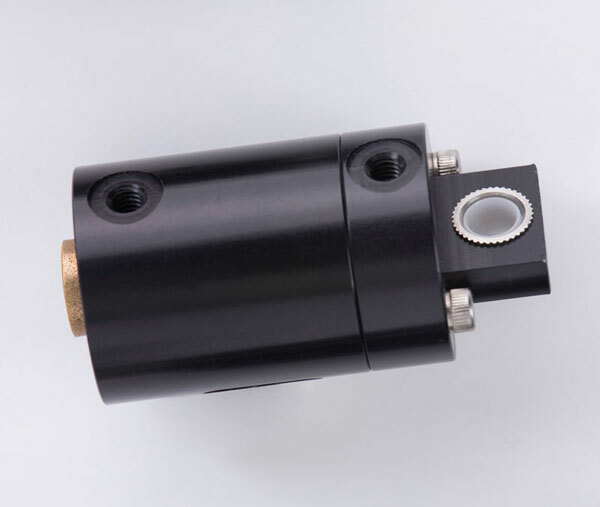 Click on any of the custom cylinders, custom valves, and custom machining pictures below to view examples of what Custom Cylinders can make for you. 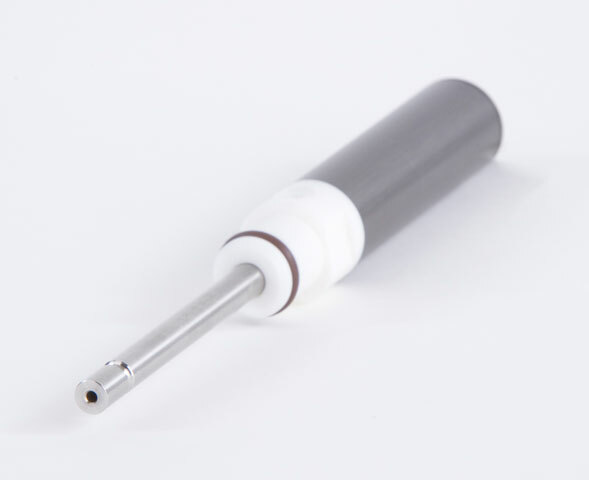 Aluminum/hydex construction with a hard chrome plated 316 stainless steel rod. 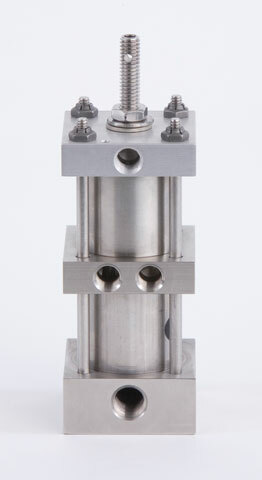 Air cylinder for power, water/glycol cylinder for control. 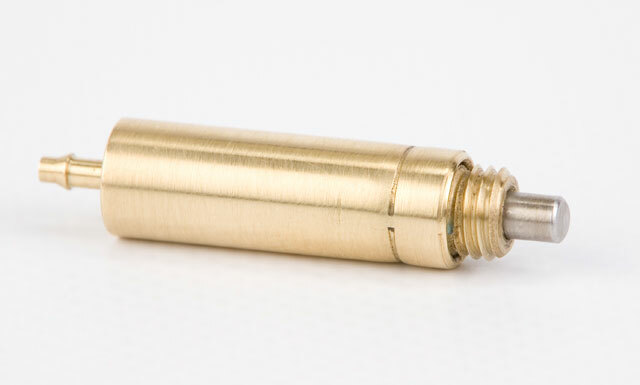 High speed brass cylinder for ejecting parts. Ertalyte PET construction resists caustic wash down and is lightweight. Made in a variety of sizes and materials. 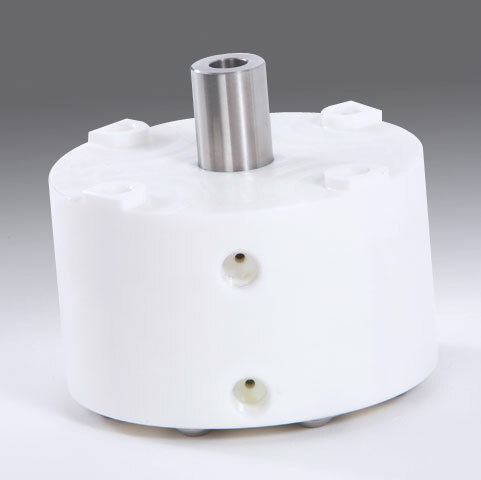 300 series stainless steel solvent pump, pneumatically actuated. 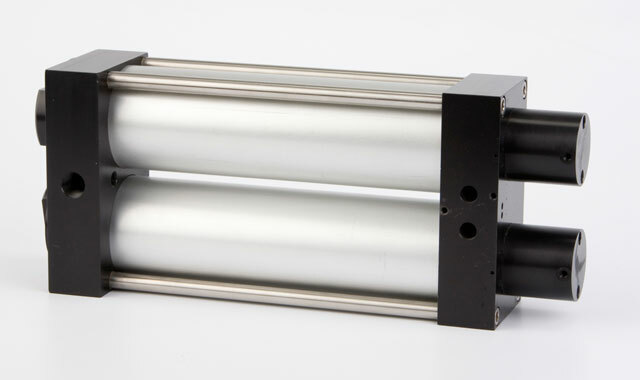 Pneumatic cylinder with a 316 stainless steel nose mount. Rear port rotates 360 degrees. Used in the Fabric Manufacturing Industry. Very high cycle rate. 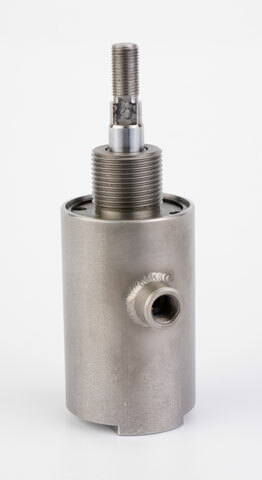 4 station diverter, 316 stainless steel construction for corrosion resistance. 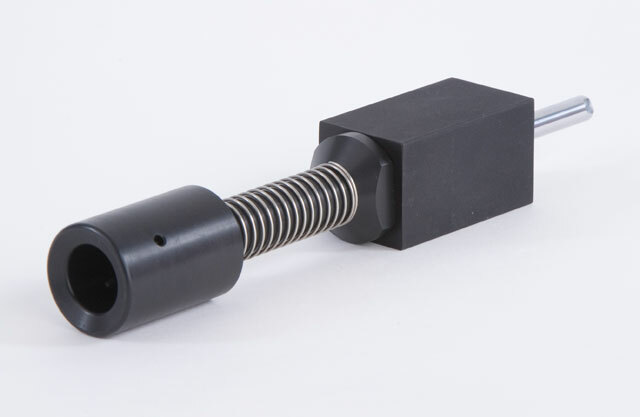 With precision ground spline shaft. 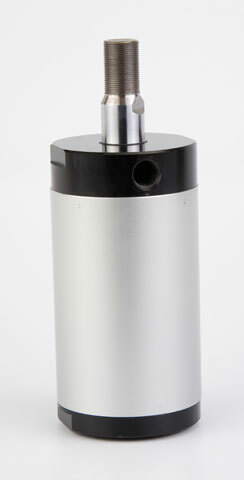 High temperature low cost air cylinder. 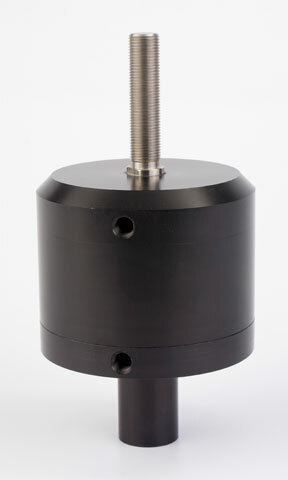 originally designed by Custom Cylinders, Inc.
With hollow rod to actuate a venturi simultaneously with rod extension. 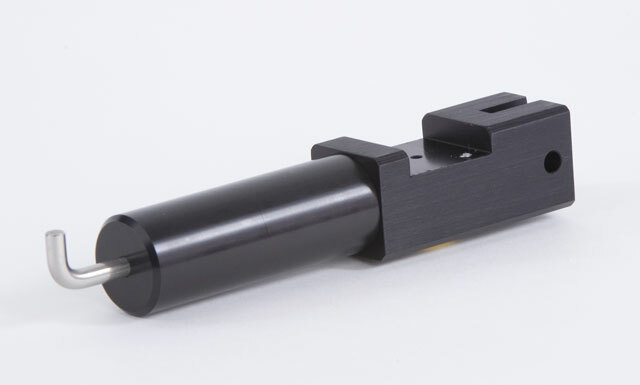 With mount for proximity sensor to sense end-of-stroke. 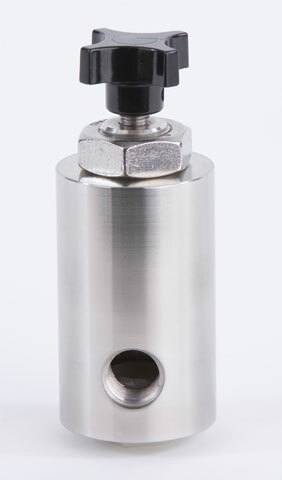 303 stainless steel 1" NPTF shut off valve. 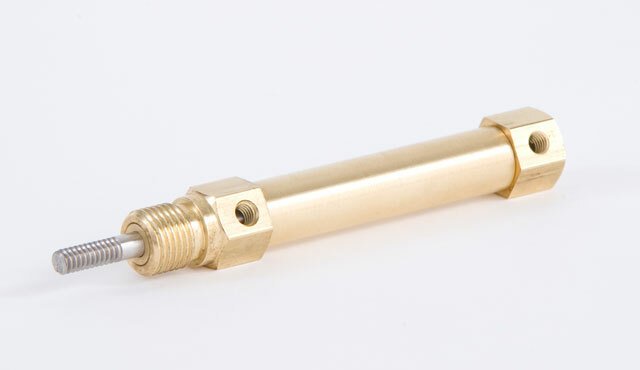 With metallic rod scraper for adverse environment. 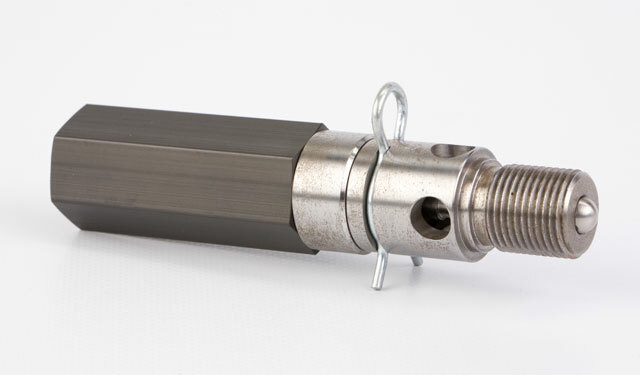 High speed pneumatic cylinder (pneumatic shock absorber). With special mount and small footprint. 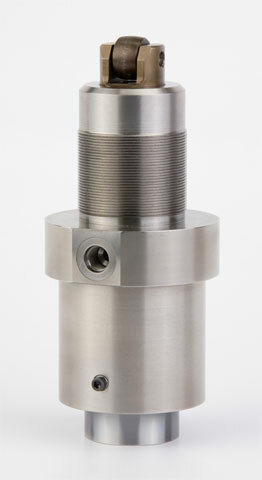 Extremely low breakaway cylinder designed to fit in custom machine. 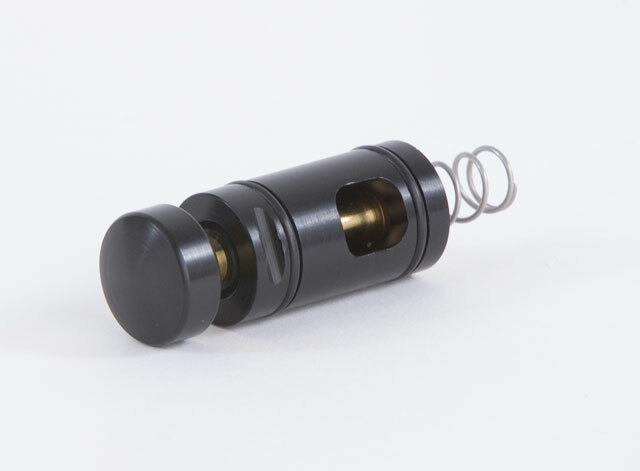 Provides 16 different rod positions. 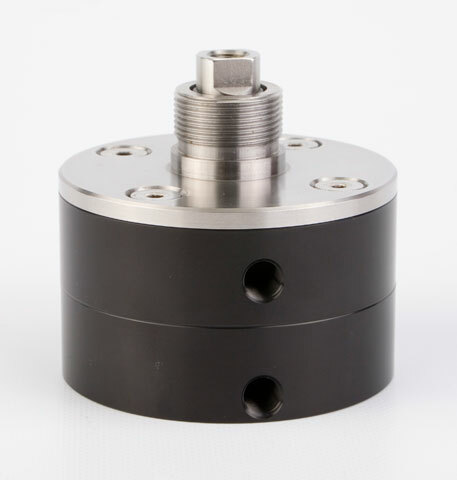 Primarily used on conveyor systems.